The biggest club festival in the world, Amsterdam Dance Event, takes place every October in various venues around the city. Its central nervous system is concentrated along two blocks of the Keizersgracht canal in the city’s Grachtengordel neighborhood west of the Red Light District, with headquarters at the Dylan Hotel, K264, and the Felix Meritis building. So, for five days every year, the western side of Keizersgracht between Runstraat and Reestrat is clogged with industry representatives who nervously tug on badges that dangle from ADE lanyards around their necks or bark into cell phones while they try to spot other industry representatives with whom they have scheduled a business meeting. ADE is a three-headed beast that encompasses all facets of the contemporary electronic music universe, from business to pleasure and from underground heroes to EDM superstars, with a conference, a “Playground” and a festival. The conference is, according to its website, “the ultimate annual business and inspiration platform in the field of electronic music,” and it inspires business people with a series of lectures, panels, and networking opportunities. The Playground consists of film screenings, art exhibits, pop-up performances, and tech showcases that take place throughout the city. The festival is the fun bit, the parties and club nights that occur after dark at local spots like Trouw, the Sugarfactory, and the North Sea Jazz Club. These three heads merge all aspects of club culture and the clubbing industry into one comprehensive electronic music fair. 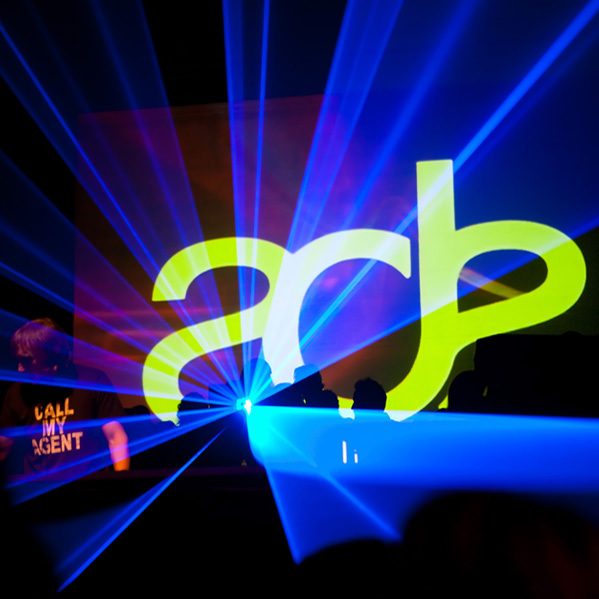 The designated subject of this Electronic Beats article is the 19th annual ADE, 15-19 October 2014. Total attendance for the festival clocked in at 350,000, with 5,200 conference-goers, 15,000 Playgrounders, 125 participating venues, 400 events, and over 2,200 artists, according to statistics sent via email by the ADE press agent two days after it closed. Electronic Beats’ assigned correspondent, me, was one of 425 journalists and media representatives at the festival this year, and I absorbed as many of its charms as I could, but the sprawling layout was both exhausting and impossible to navigate to its fullest potential without a significant budget for taxi rides, or at least another person to split the fares. Highlights included closing sets at Trouw on Thursday and Friday nights, first by the Hessle Audio crew and then by resident DJ Sandrien. The three Hessle honchos—Pangaea, Pearson Sound, and Ben UFO —banged out a massive and suitably eclectic back-to-back set that paid equal attention to slightly weird and salty techno jackers as it did to jewel-bright UK garage jams. After several thrilling hours, they were joined by some of the other artists who had been booked on the same bill, a roster that included the likes of Clone label boss Serge and Dutch stalwart Dexter. The next night was more stylistically focused. The only break in a steady flow of techno came from Sandrien, who opened her set with an ambient track that went on for longer than any non-resident would have dared. From there, she delved into a few hours of heads-down techno tunes that she blended with an expert level of dexterity over the course of several minutes per transition, which made over-the-shoulder voyeurs astonished and envious. But the lived experience of clubbing in Amsterdam contrasted sharply with the intellectual abstractions that took place at ADE’s industry panels. On Thursday, I hiked nine floors to attend a discussion titled “The Academisation of Nightlife,” which took place in conference room F10 of the Felix Meritis. The building is named after the Felix Meritis Foundation, the organization that opened the building in 1788 in order to provide Amsterdam with a cultural center for the arts and sciences that simultaneously promoted industry. A few minutes into the introductions, I realized that I had been looking at the Friday program instead of Thursday’s, and had accidentally arrived at a panel called “The Future of Music Copyrights in the Digital World.” In retrospect, it seems ironic that I hadn’t planned to attend the discussion, as it revolved around several companies’ efforts to eliminate chance, happenstance, and mystery from nightlife using unseen surveillance technologies to map out everything that happens therein. The panelists, six male representatives from copyright-related companies, analyzed technology that monitors live DJ sets and identifies the tracks that were played in order to distribute royalties to each of the artists featured that night. They debated the possibility of developing technology capable of identifying 100 percent of the tracks played during a given DJ set, an aim that seems to be at odds with the mystical and liberal spirit of clubbing, as well as the environment that successful nightclubs attempt to create. It turns out that many of the ephemeral and unphotographed DJ sets I’ve enjoyed have been recorded, audited, and cataloged by external business interests. Of course, knowing about this corporate espionage after the fact doesn’t retroactively change the experience in a practical sense—they were still liberating adventures because I perceived them to be that way at the time—but I don’t think that’s necessarily proof that these technologies have negligible effects. What it does is cast a different light on the attraction of going out to clubs, which is to get lost in hedonistic rapture and leave all other woes somewhere outside the club’s impenetrable walls. And in this light, it seems like the ideal of clubbing nirvana, and all the measures clubs and DJs and clubbers take to achieve it, encourages us to ignore any facets of that experience that aren’t immediately present and pertinent. The troubling detail is that those other components of the dance music universe are still there, and the empty mindscape required to achieve clubbing nirvana leaves us vulnerable manipulation by those other forces, sort of like the way TV programming is designed to inspire in its viewers a mood conducive to accepting messages from its advertising sponsors. If that comparison seems a bit hysterical to you, I’m curious to know exactly why. I’m also curious as to whether the reader can identify with any of these realizations, reservations, and skepticisms. Furthermore, I’m concerned not to give the impression that I think track ID technology is bad, or that it negatively affects club culture and its constituents, when I’m really more interested on the relationship between club culture and industry, and how their basic impulses might be at odds. After all, if ADE has taught me anything, it’s that business and music and technology and art and clubbing are elements of the same ecosystem. And, if you think this piece over-intellectualizes a technology whose aim and effect is to improve an existing system by distributing royalties more fairly, I’ll admit that it strikes me as gullible to think that a business’s only or primary interest lies anywhere besides profit. It also strikes me as gravely naïve to think that, even if noble non-profit motivations greatly influence the development and deployment of those technologies, those premises aren’t subject to change at some point in the future. And what really bugs me is the idea that those changes might happen as imperceptibly as the technologies were installed.